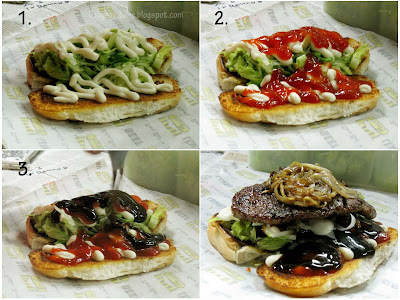 The simple Ramly burger isn’t so simple any more. 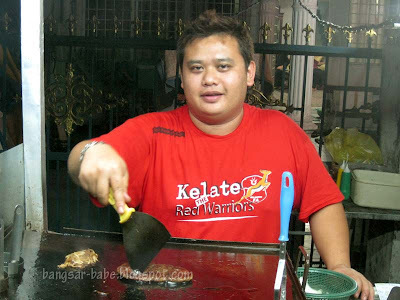 Over the last decade or so, almost all Ramly burgers have been reinvented or improved, with various ingredients and cooking methods. I’ve tried all kinds of burgers ranging from special cheese, special double cheese, crab burger, benjo special cheese and even green apple burger and pineapple burger. After so many burgers, I still like OM Burger the most. 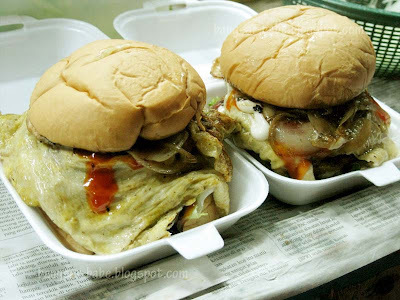 Two weeks ago, I received a phone call from a very excited rif, telling me about this burger called ‘Bobby Burger’ in Taman Lembah Keramat. Apparently, it is one of the best burgers around. I was not convinced, until I finally tried it for myself. 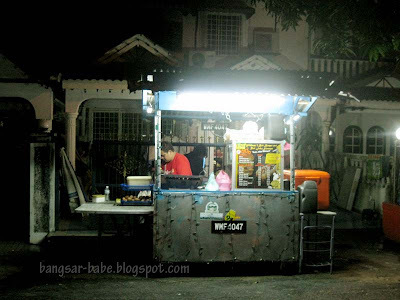 Bobby’s burger stall is located outside his house and he has been running his business for 6 years. When I asked him about the number plate ‘WMF 4047’ placed on his stall, he cheerfully told me it is very ‘ONG’! On weekdays, he sells an average of 160 burgers per day. The number increases to about 240 burgers during the weekends. His stall is open for business from 4pm till 5am the next day, every day, including public holidays. I was surprised when one of his regular customers told me he opened his stall throughout Hari Raya. Talk about determination and passion! I ordered my usual Ayam Double Cheese Special (RM4.80) and waited for my turn, as he had quite a few orders to make. 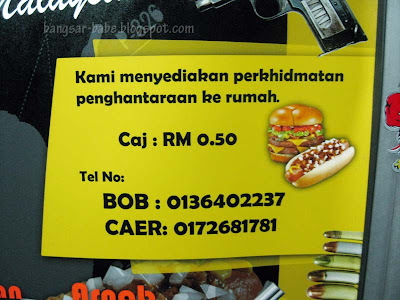 He also takes phone orders and delivers the burgers to you (if you’re nearby the area) for a small charge of RM0.50. Bobby pan-fries his patties before putting dashes of pepper and Worchester sauce for flavouring. 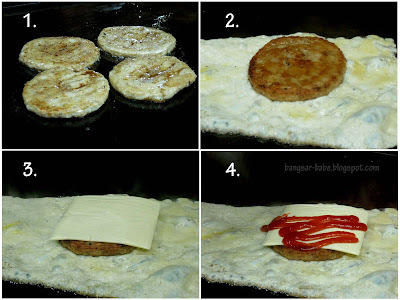 He beats the egg and pours the mixture onto the hot grill, and places the first chicken patty and a slice of cheese on top. After putting chilli sauce on the cheese, he tops it with the second chicken patty and wraps the egg over the combo. The bun base is topped with shredded lettuce, onion slices and generous squeezes of chilli sauce, black pepper sauce and mayonnaise. 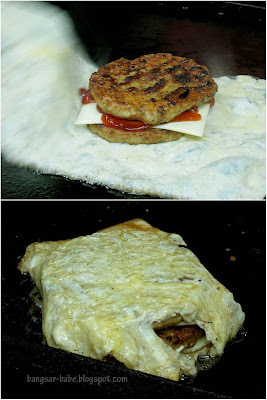 He places the egg-wrapped patty on top and squeezes chilli sauce and mayonnaise on it again. Just when I thought my burger was done, Bobby proceeds to stir-fry some onion slices with butter and Worchester sauce until it becomes translucent and fragrant. This is added to the patty for extra shiok-ness. Only then, the burger is covered with the bun top. Excitedly, I take a bite of my montrous burger, which is almost half the size of my face — smearing the sides on my mouth and nose. This assemblage of a burger bun, two chicken patties, cheese, egg, shredded lettuce, caramelized onions, mayonnaise, chilli sauce and black pepper sauce is as good as its looks — big, messy and utterly delicious. I was pleased with my burger, and wanted more. 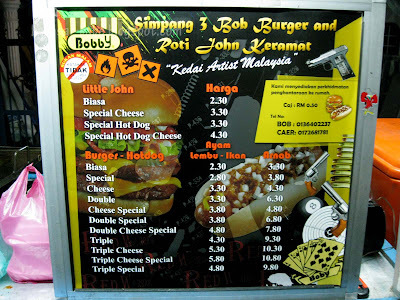 I asked Bobby to recommend another burger, and he happily complied with a burger kambing (RM5.30), also known as Lamb Tiesto. This is a burger made of a longish burger bun, single lamb patty, shredded lettuce, onion slices, and a whole lot of chilli sauce, mayonnaise and black pepper sauce. 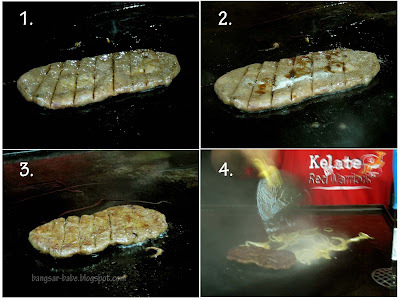 To cook the lamb patty, Bobby stabs it diagonally to allow the flavouring to seep through the meat, and grills it with pepper and Worchester sauce. 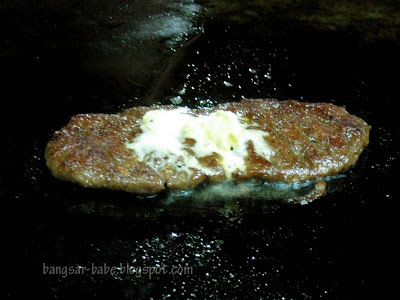 He adds more butter on the patty towards the end, which gives it a lovely crisp at the edges. This is way better and bigger than the smaller-than-my-palm prosperity burger available at a famous fast food chain. The lamb patty is tender, with a pronounced meatiness in each bite. And the black pepper sauce packs a whole lot of punch. Pure lamb bliss. Bobby’s burgers are seriously good stuff! The lamb burger is lip-smacking, finger-licking good. It is very difficult to dethrone the OM Burger, and all the burgers I’ve tried failed to do so. They also failed to be on par with it. Bobby’s burger is different and tasty in its own way — different method and innovative ingredients. It now shares the first spot with OM Burger, and I cannot wait to go there again. Verdict: Bobby Burger now shares No.1 spot with OM Burger. Need I say more? *I am more demanding of my food lately, hence the 8/10 rating for Burger Bobby. Although I gave OM Burger a 9/10 (in March 2009), Burger Bobby is on par with it. This somehow looks tastier than the OM!! I wanna try the lamb one! Looks big and I'll need to divde the burger into 3 layers to eat. how to get here ya ? 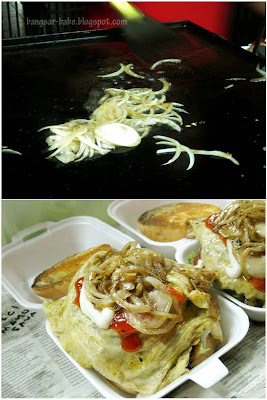 really wanna try la the burger looks so sedap . omg…bob burger looks big than mcD big mac ler and so juicy looking burger … the egg like 'tat' out from the burger makes me drooling ler. looks like a HUGE-a$$ version of sloppy burgers. Good news as I like these tasty burgers but it is hard to come by in my neighbourhood. Those burgers looked damn tempting. I have added the gps to my garmin and will sure to hunt down those burgers…thanks! Do they send to PJ? Hahahah…Respect y'all for heading down all the way to Keramat to get dem burgers! CK Lam – No prob! taufulou – Kekeke…go go go try. 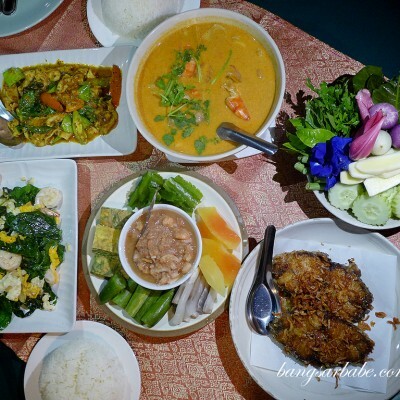 Simon Food Favourites – Not something you eat everyday or every week for that matter. But it's good stuff! J2Kfm – I also dunno how to get there without GPS. Must ask rif to direct you. vialentino – It's twice the size of a big mac! June – Errr…I know it's near Zoo Negara. Need to ask rif to help with the directions. 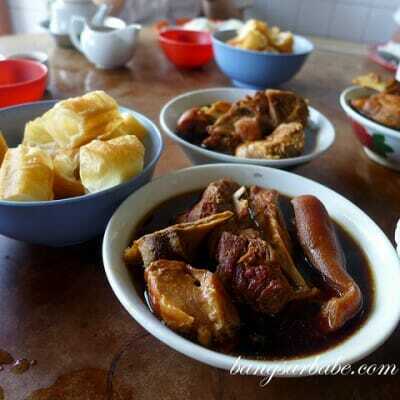 leo – It's the one outside Restoran Kopitiam Bintang. Next to CIMB Wealth Advisors. Go around 12 midnight. If you go earlier, Brother John's sons will make the burgers…not as good as the father's. eiling – LOL. And you must be prepared for the sauces that drips from the burger. It's damn sloppy. Funny that I've never tried this before even though the stall is very near to my house. I'm gonna try this after back from work today. Bob beats OM anytime…anytime..its so much cleaner and tastier..melts in your mouth not in your hands..OM is too sloopy and greesy..pre-cooks the meat and just heats it up when you order..and that too he cooks it in greese accumulated in dirty oil and fat from other burgers..so for those who dont eat beef..stay away..and the way he chucks the mayo on with a huge stick is disgusting..the burger taste nice no doubt if you're in for a triple by-pass surgery…so go for BOB..the best burger in MALAYSIA..
Yeah, such a nice guy right? I didn’t even know about this until a few weeks back. 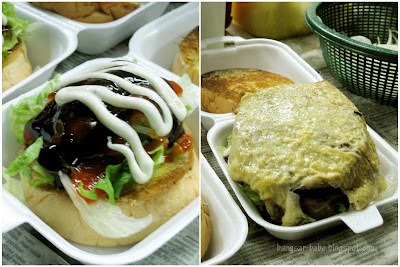 Did you try the Bangsar Babe Burger?